What has Tahoe Resources got to hide? 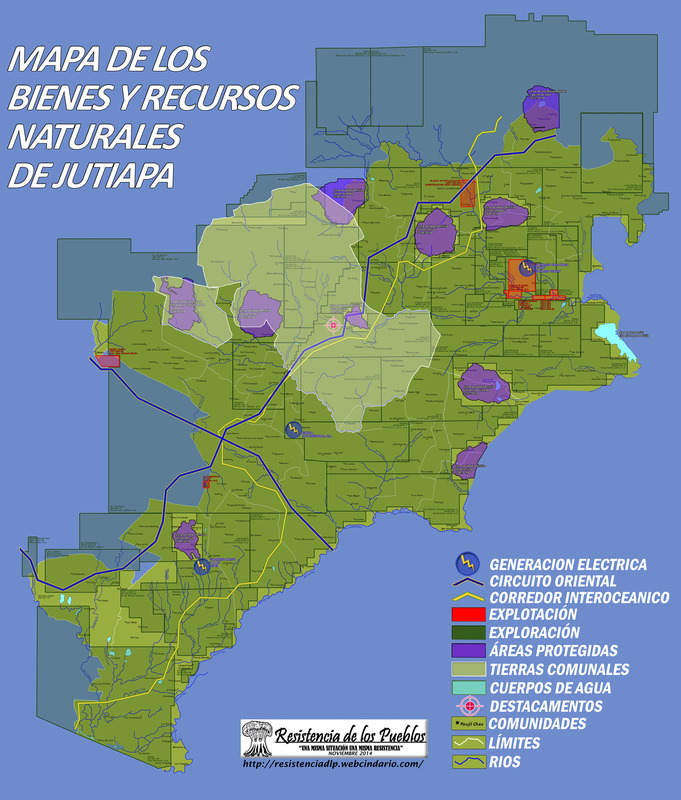 The maps below were created as part of a collective, community-based process to build awareness around the existence of mining exploration and exploitation licenses in the department of Santa Rosa, Jalapa and Jutiapa. This effort seeks to fill the void created by the Guatemalan government and transnational mining companies when they fail to uphold their responsibility to inform communities about projects that impact their water, land and livelihoods. US/Canadian-owned Tahoe Resources holds one exploitation license for the El Escobal mine in San Rafael las Flores and more than a dozen exploration licenses in Santa Rosa, Jalapa and Jutiapa. 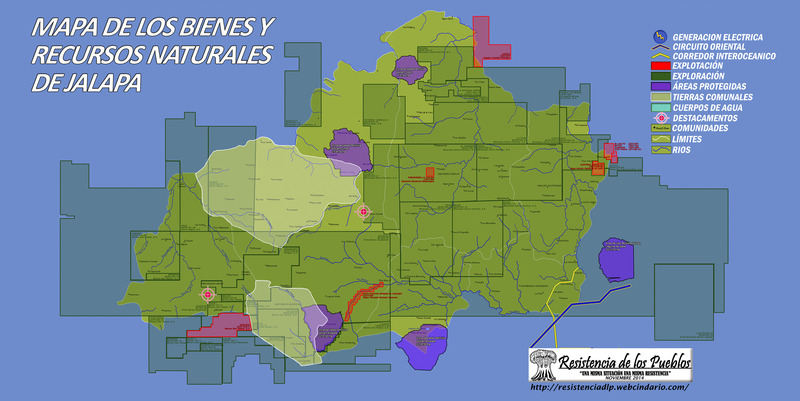 The maps show that many of the licenses directly and indirectly impact Xinka Indigenous lands and protected areas. Widespread opposition to the company’s Escobal mine located in San Rafael las Flores was temporarily stymied in May 2013 when the government declared a state of siege. Shortly thereafter, in January 2014, the mine began commercial production at the Escobal mine. 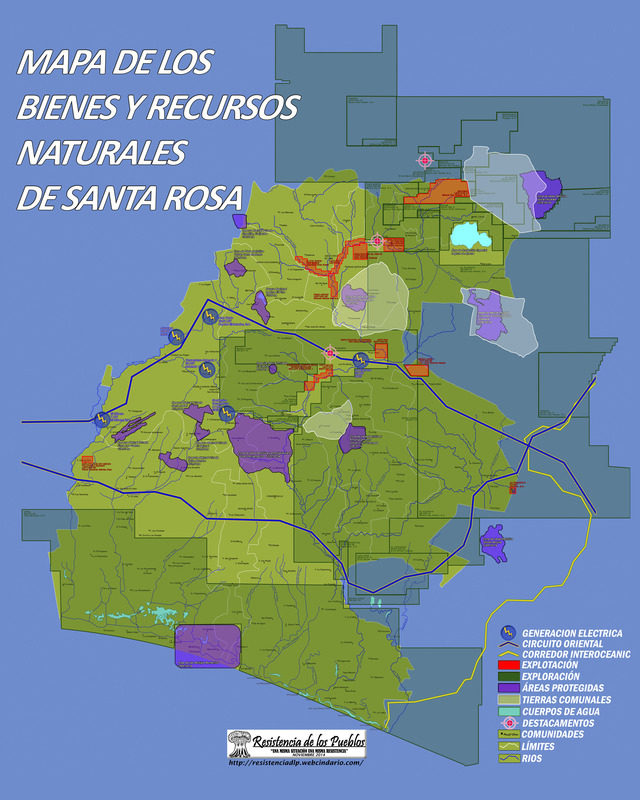 Now, Tahoe is moving forward with plans to expand operations both within the municipality of San Rafael las Flores (Juan Bosco exploration license) and in neighboring Mataquescuintla (Andres exploration license) despite ongoing opposition, pending legal cases against the company and its employees in Canada and Guatemala and 14 community referendum rejecting mining in the region. 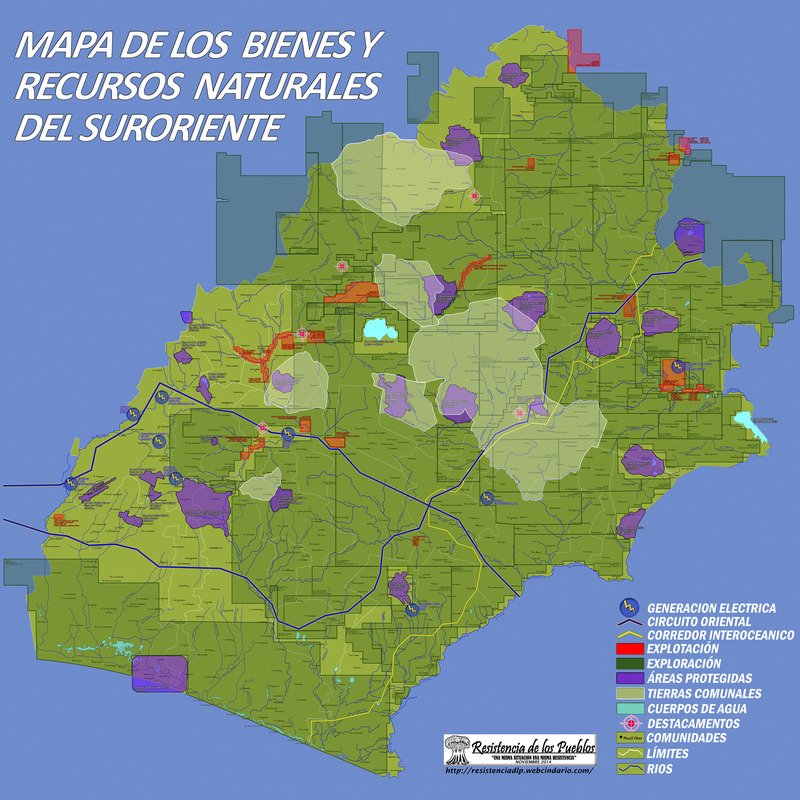 For higher resolution maps, go to Resistencia de los Pueblos. Blog created and maintained by Breaking the Silence, NISGUA and MiningWatch Canada.